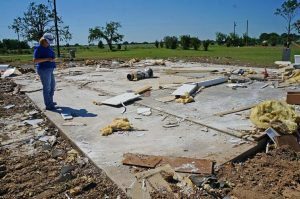 One of the homes being rebuilt is for a husband and wife who both serve as sheriff deputies, and the other is for one of their mothers. For the past few Saturdays, Eiland and many other local volunteers have been constructing the homes. The walls for one home have already been built and transported to Fruitvale. 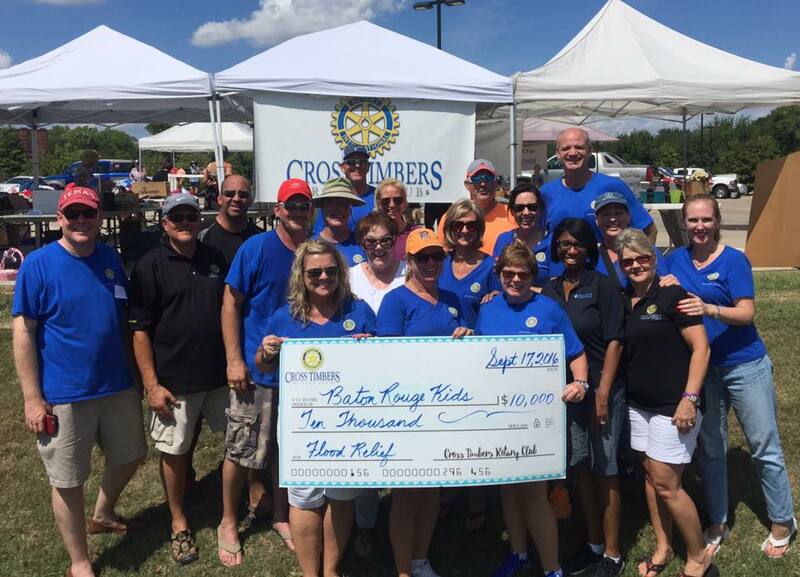 This Saturday, volunteers are needed to help build the walls for one of the homes in the parking lot of the Flower Mound Lowe’s store, 6200 Long Prairie Road. Next Saturday, “we need a large volunteer effort of people to go to Fruitvale,” Eiland said. There, volunteers will put a roof on the first house and stand the walls for the second one. “There’s lots of work to do,” Eiland said. If you’re interested in helping, contact Eiland at 817-988-4536. 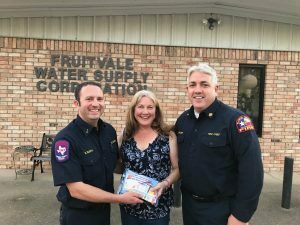 Flower Mound Emergency Management Officer Brandon Barth (left) and Fire Chief Eric Greaser delivered gift cards, generously donated by Flower Mound residents, to Fruitvale City Secretary Susan Murre.